The ideal audio workstation PC for music production using any of today's popular software production suites such as Steinberg Cubase/Nuendo, Cakewalk Sonar, Reason, Ableton Live and FL Studio. Aimed at both home and professional users. The Serenity Wavestation Pro offers a quieter way to edit and process your music making it perfect for studio use and as such, it is ideal for both home musicians and professionals working in a studio environment where quietness is important. 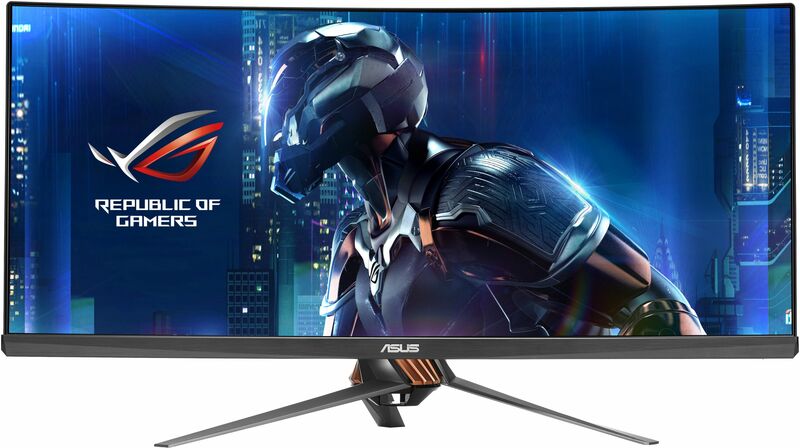 The ASUS ROG STRIX Z390-F combines bold aesthetics with premier performance and incredible audio and support for the latest Intel processors and technologies. ROG Strix's SupremeFX audio technology delivers an exceptional 113 dB signal-to-noise ratio on the line-in connection for best-ever recording quality. ASUS have also added a low-dropout regulator for cleaner power delivery to the SupremeFX S1220A codec, plus Texas Instruments RC4580 and OPA1688 op-amps for high gain with low distortion. It all adds up to an incredible audio experience. The key to any quiet fanned system starts with the case. 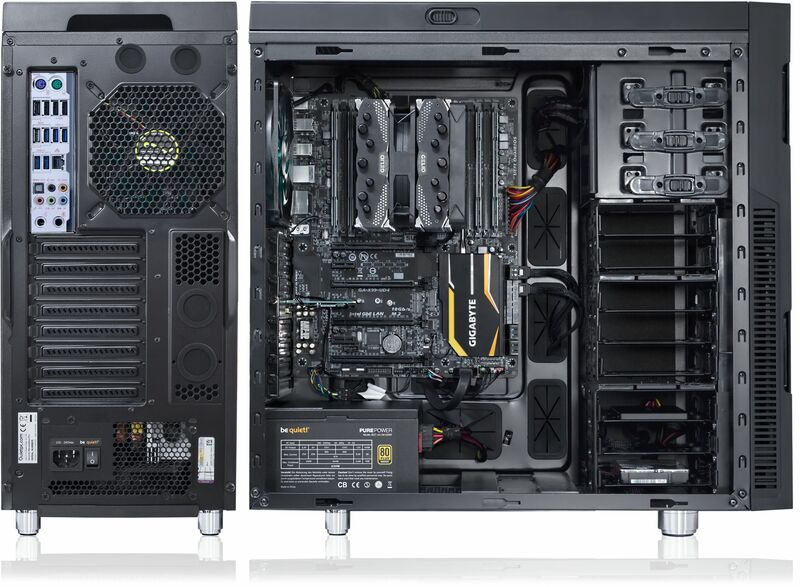 We offer a German engineered, high quality case which, coupled with some well-chosen components provides a very quiet system from the outset. Which CPU do I need? Given the need for a good processor with any DAW, we are only offering i3, i5 and i7 processors with this system. Any processor on offer with this system will be fine for music production however, if you use a lot of virtual instruments and effects, that will have a greater impact on the processor so do consider a more powerful i7 processor. We offer the Wavestation with DDR4 memory that delivers up to 20% less energy consumption and twice as much density as the previous generation DDR3. DDR4 can help Wavestation users to load their programs faster, increase responsiveness of their system and help them to handle heavy data tasks in a flash. Today, many musicians are using software based instruments, effects and sample libraries and if you are one of those people then the more memory that you have, the faster and more responsive your audio application will be as the PC will spend less time moving data to and from the SSD. A good amount of memory to have for a typical home based DAW would 16GB but for more professional users, 32GB (or higher) would be recommended. Home users or enthusiasts can simply build on the base configuration, adding higher capacity SSD drives and perhaps more memory or a bigger monitor if required. The on-board graphics support resolutions up to 4096 x 2160 (Via HDMI). 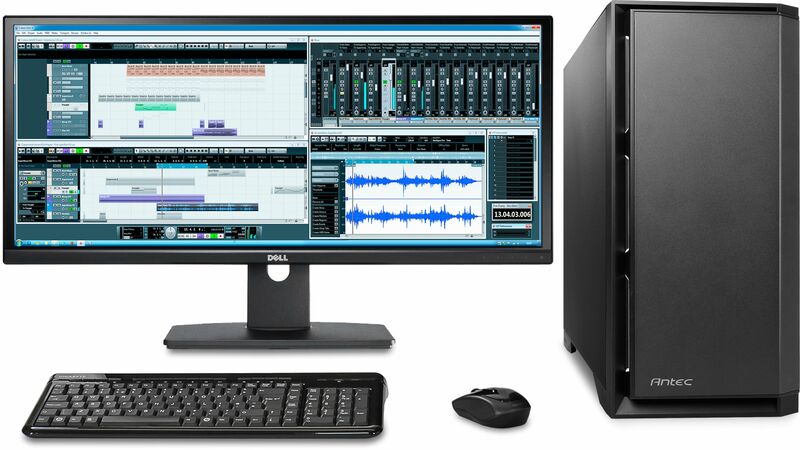 Audio editing/production programs usually take up a lot space on your Windows desktop so it is usually a good idea to use a large display where possible. By default the system will use the on-board graphics (supports three monitors via Displyport, HDMI and DVI). Towards the higher end of the video cards on offer is the extremely quiet PNY NVIDIA Quadro P1000 graphics card which provides support for up to four 4K monitors (via DisplayPort). Of course there are other graphics cards available (some of which are semi-fanless in operation) that may be more suitable for your particular needs. While the default system drive offered with the Wavestation Pro may be large enough for many users, it is of course possible to add a much higher capacity drives if required as well as a standard high capacity hard drive to backup your work. Many applications work better if they have a 'scratch disk' which they can use as a temporary workspace and Cubase is a good example of this. Many of today's large sample libraries take huge amounts of room on your storage device so a high capacity conventional hard drive is recommended and we only offer the fastest drives with a fast 6Gb/s SATA interface in order to help prevent throughput bottlenecks. This will minimise the noise from the drive helping to ensure that an otherwise quiet system remains quiet. The drive may operate at a slightly higher temperature than normal but the areas on the hard drive that get warm are connected to the metal case with thermal pads and this helps to dissipate the heat ensuring that the drive remains cool. Users with more advanced storage needs may be interested in having two drives configured as a RAID array in order to increase read/write speeds or to provide a more fault-resilient storage system. The two types of RAID we offer are RAID 0 (Striped) and RAID 1 (Mirrored) and they store information in completely different ways. RAID 0 arrays stripe data and write information across two separate hard drives and is often used to increase the speed at which data is accessed and retrieved. The downside is that if a drive fails then you lose everything, so it is important to make regular backups. Video editing programs usually take up a lot space on your Windows desktop so it is usually a good idea to use a large display like the ASUS PG348Q 34in 100Hz 3440x1440 Curved IPS Monitor" IPS Monitor to expand your desktop. The more space you have available on your Windows desktop the easier it will be to work with your editing software. An alternative (and usually cheaper option) that many people choose is to use two monitors to increase the available space on their desktop and you may need that to view a full size video preview of the media on which you are working. For professional users who are working with videos all day, the RAID 0 will help speed up the loading/saving and processing of large video files. Icy Box Multi-format Card Reader, requires Internal USB3 card above ? I bought this machine with a fanless power supply unit and fanless graphics card as I'm paranoid about noise whilst working. I can confirm that this machine really is quiet, I have to put my ear close to the case to hear it even when running all 8 cores at the same time. Delivery was quicker than advertised and the machine arrived really well packed. I've had powerful machines before, but they've always been noisy. Congratulations to Quietpc in being able to deliver such power almost silently. This configuration is indeed completely noiseless. After a while the Serenity wavestation heats up, but you can open the 'chimney' to cool down the unit. I definitely recommend to take at least a SSD for your operating system. The startup speed is impressive, around 5 seconds. I use the graphical card of the mother board GA-Z87X-UD4H LGA1150 and it does everything I need on my 24" computer screen. I got the configuration delivered after 5 days in the Netherlands: 3 days for assembly of the unit and 2 days for shipping. I used the 2nd cheapest shipping option, because this was recommended as having better order tracking for international shipping. This is my first purchase with QuietPC, but my next configuration will also from QuietPC. I highly recommend products of QuietPC for their quality and for the advice you get. I only do reviews when someone, or something, truly impresses me; in this case it was both! 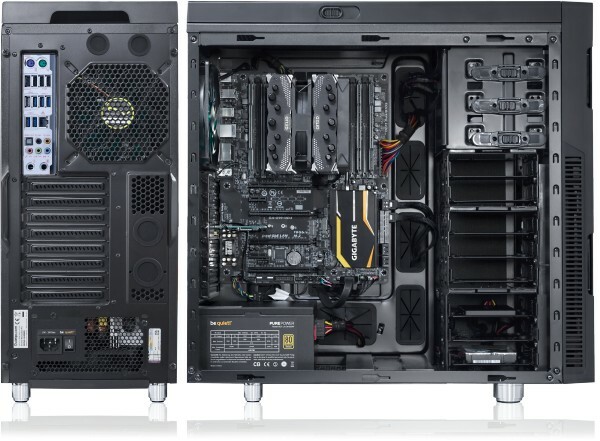 Over a period of some 30 years of owning computers I have slowly learnt what I want and do not want, in a PC. So when my last one failed beyond repair, I knew its replacement would be difficult. This was because I wanted a machine that was not only reasonably future proofed, by being very fast, but completely silent as well. I was concerned that this combination might not be achievable. Further, I also needed flexibility, with minimum disruption if a drive failed and ease of recovery in the event of a virus attack. Quietpc's web site immediately impressed me! Despite having a somewhat bewildering range of products I got a fast start by evaluating and tweaking, their 'pre-digested' systems. It was so easy getting quotes for various combinations that I soon obtained a few alternative arrangements to form what might become my ideal PC. By then, the biggest issue was how it would look in a home environment. After chatting a few times with Andy Ford, their Technical Support Manager, I arranged to visit them to fine tune my selection. We discussed my requirements in some detail. Andy is so knowledgeable of their products and was so eager to ensure my requirements were fully met, that it was a pleasure to deal with him. Incidentally, I based the PC on a Serenity Wavestation because even though I did not want a fan, it does have some fitted and can be used if ever needed; Andy kindly facilitated this by fitting a connector in a convenient place. As a result, I have been delighted with the machine and very pleasantly surprised with the level of care taken in getting the details right. For example, Windows was set to the "classic mode" we had discussed in passing, Windows was fully updated and even the MSE anti-virus had the latest definitions. By the way, in case you are wondering, I have no commercial or any other interest whatsoever, in Quietpc - apart that is, from being a repeat customer! If you are looking for a quiet PC, Quiet PC’s Serenity Wavestation is a fantastic option. It is fast and offers smooth and almost silent operation – office computing as it should be! Further, the service and technical support provided by the Quiet PC team is exceptional. I had questions both before and after buying my new PC and the technical team could not have been more helpful. I’d especially like to thank Andy Ford and Phil Court for responding so quickly and comprehensively to my questions. I’ve not experienced support as good as this in 20 + years of using computers at work. Thank you Quiet PC.